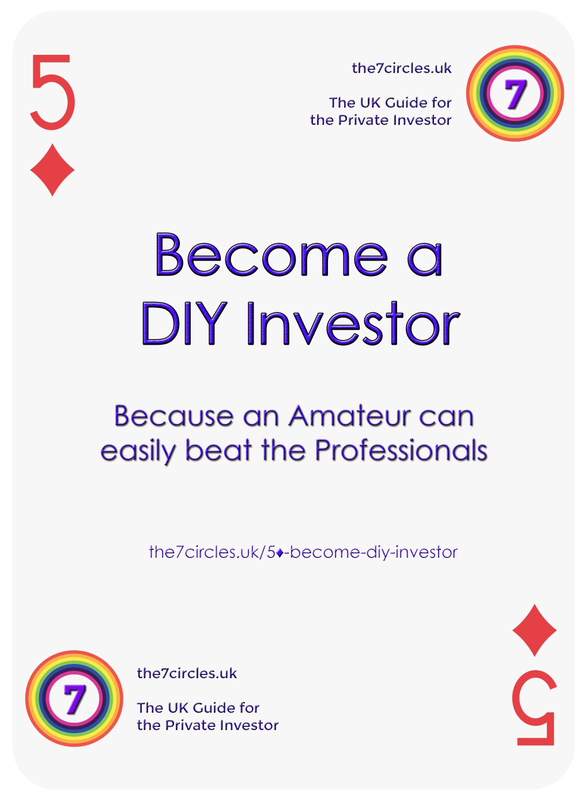 Become a DIY Investor - Because an Amateur can easily beat the Professionals. This post is part of the MoneyDeck series, a pack of 52 playing cards that describe 52 “golden rules” for Private Investors in the UK. Become a DIY Investor – Because an Amateur can easily beat the Professionals. For some people, this will be an easy sell. If you do your own cooking, your own painting and household repairs, or maybe you work on your car or bike, doing things for yourself will come naturally. But if you get a man in to do everything around the house, and eat dial-in pizza every night, you might take some persuading. 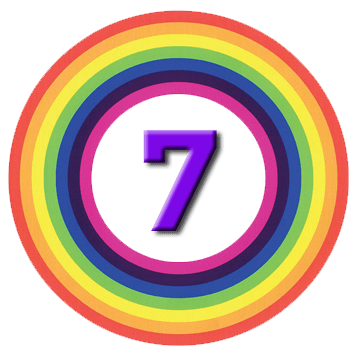 Let’s look at each of these in turn, and then I’ll end with a quick summary of how to approach DIY investing, and some of the mistakes to avoid. DIY investing is not a new idea. After the war, stocks on both sides of the Atlantic were mostly owned by private investors. The mutual fund / unit trust industry didn’t get going until the 1960s and 1970s. Then institutional investors (pension funds etc.) – who up to then had bought bonds – got involved, followed by international investors as globalisation kicked in. Now private investors are a small minority. First, because you care most about your money, and you should take the most care when looking after it. Second, because it’s never been easier to be a DIY investor. Third, because the current era of low returns means that the extra charges funds impose make a significant difference to your net returns. And fourth, because the replacement of DB workplace pensions with DC schemes means that it’s never been more important to take responsibility for your financial future. But still most people won’t get involved. Everywhere you look, there will be an investment professional (an advisor, or a fund manager) telling you that DIY investing is difficult, or risky. It’s neither, but if everyone worked that out, the professionals would be out of a job. Everybody who talks to you about money1 has a conflict of interest. It’s more important to them that they make money than you do. And they make money not by being brilliant at investing, but by being brilliant at marketing. Funds generally charge a percentage of the assets under management. They don’t charge for success. All they want you to do is sign on the dotted line and hand over your money. They want you to pay through the nose for their “secret sauce”. But in most cases, the secret is that there is no secret. Advisors can’t take commission (kickbacks) any more, so they have to charge an upfront fee. Passive index tracker funds are ever more popular, so managers of supposed “active” funds that are really just closet trackers are also finding life hard. As a private investor you have a cost advantage. You don’t have to pay yourself a fee to manage your money. For decades the structure of fees was opaque, so that you couldn’t work out how much of your money went directly into their pockets. Since the RDR a few years ago, things are more transparent, but the traditional funds haven’t got that much cheaper. Paying 1% to 2% pa will make a huge dent in your pot when you retire. You can put together a diversified portfolio of ETFs that will charge you less than 0.4% pa.
Trust me – that will make a difference. The media image of the finance industry is all ruthless, sharp-suited evil geniuses with connections and cutting edge tech, working 80-hour weeks and snorting lots of coke. Yet beating the professionals is easier than it sounds. You see, fund management is a zero sum game. The average return to all of the funds added together is the same as the market return – they are the market. So the average return to the customer of those funds is the market return minus the fees that they charge you. There’s plenty of evidence to show that the average fund underperforms the market. Since you don’t have to charge yourself those fees, it’s obvious that if you are disciplined, you can beat the professionals. Not all of them, and not every year. But over the long-term, you will come out ahead. Career risk makes it even harder to succeed as a professional. This herd behaviour creates the second opportunity for the amateur investor. You can do something different with your money. The third opportunity is that you aren’t constrained in the way you invest. Most funds have an investment goal that they must stick to. They can only invest in certain things (a particular market) and they have to stay invested. You don’t – or shouldn’t – care too much about beating the market. You want your money to be worth more in the future, and so you want to buy things that will go up, or at least not go down. You can buy any market you like, and any size of stock you like – most funds can’t invest in smaller stocks, which offer the best opportunities. You can own a dozen stocks or funds, or a hundred. You don’t have to own the bad stocks in an index, just because they are in an index. You can go to cash if you don’t like the look of anything. You can even short the market. You have no restrictions, and this is a real advantage. A US study found that the average investor underperformed by 4.7% over 20 years. That’s a serious amount of missing money. Private investors trade too much. They buy and sell stocks on a whim, or they switch funds too often. Almost no private investors record their portfolio turnover. The second reason is that private investors try to time the market. Unfortunately, human psychology means that very few people are good at this. Your emotions will usually mean that you buy high and sell low. Interestingly, this happens with funds as well, so that the average investor in a fund dramatically underperforms the fund itself. Buying the fund that went up the most last year is not always the best idea (most funds don’t outperform year after year). Nor is selling just after a crash. A third problem for PIs is over-confidence. A couple of winners doesn’t make you the next Warren Buffett. Stick to your system and keep grinding it out. what are your medium and long-term financial goals? Set aside enough time to make it work. Depending on your chosen approach, this can be an hour a week, or twenty hours a week. But doing a good job takes some of your time. Set aside some cash each month to invest. Take some risk – Cash ISAs won’t get you there. Learn about the long-term impact of costs, and shop around for the best deal. Learn how to take advantage of tax breaks. Learn about the best products to use (ISAs, SIPPs, ETFs and investment trusts). Diversify – let your winners offset your losers. Review and rebalance your portfolio regularly (say once a year). This is another version of “don’t put all your eggs in one basket”. Cut your losses and run your winners. Learn about momentum and follow the trend. This is just a sure-fire way to get in and out later than them, and make less money, or even lose some. Instead, form your own opinions and go against the crowd now and then. Stick to your strategy through thick and thin. There’s plenty of information out there on the internet. Just remember that a lot of people are trying to sell you something. Work out what reason they might have for saying what they are saying. So become a DIY Investor – Because an Amateur can easily beat the Professionals. Pay yourself first - learn the habit of saving before you spend.